We released a new version which comprised a few new changes, most notably a bigger map, and the implementation of airdrops and airstrikes yesterday. After one day of releasing this patch to our live servers, we are humbled by all your suggestions, encouragement and very constructive feedback. It is heart-warming for us to see so many players caring about Free Fire and you guys have always been the motivation for us to continue building up on the game. The development team has very carefully considered all your suggestions and would like to share the top 3 issues raised by our community yesterday and what we are doing about it. First, movement speed of the character. Our goal for Free Fire is to make it a realistic yet fast paced survival game on mobile, which is the reason why we implemented the sprint button. In yesterday's release, we received feedback that movement speed became too slow, as if a weight plate was tied to your character. We found out that the reason for this was because we resolved an animation bug that made your character look like he was "sliding". After this fix, we inadvertently made the character's movement speed slower. It was unintended and I'm happy to share with you that we have increased the speed of the character to a level that is similar to the previous version. Second, lower graphics. This is a problem that we have been constantly doing battle with. I will try not to bore you with the details, but we decided to make some lighting adjustments to the environment because in the previous version, some houses became exceptionally bright. It is not our intention to lose the flavour of a remote island, and we will release a new version over the next few days to make our island look more natural and we thank you for your patience thus far. Also, some of you might remember the issue where devices would get too hot while playing. To ensure a smoother gameplay for all our users, we lowered the resolution of 'Standard' graphics to reduce stress on phones and Free Fire will no longer choose "Ultra" setting for you by default. Third, harder to aim due to sensitivity. This is the part where we have to sincerely apologise. The version we released yesterday included a bug that we overlooked. This bug caused users to have trouble adjusting their crosshair while firing and we believe this to be the root cause of the issue. Very soon we will have a new client for both iOS and Android to fix this issue. 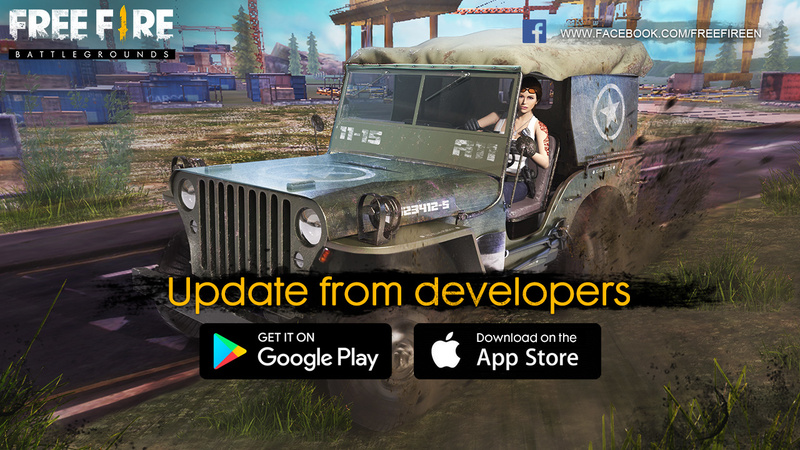 Again, this was not intended on our part and the team is working to bring you the update as fast as we can, which will come with several other bug fixes as well.